Alpha Offshore Service A/S has been awarded a contract with NoordzeeWind, a Joint Venture between utility company Nuon and Shell, for blade repair on the Offshore Windfarm Egmond aan Zee (OWEZ). 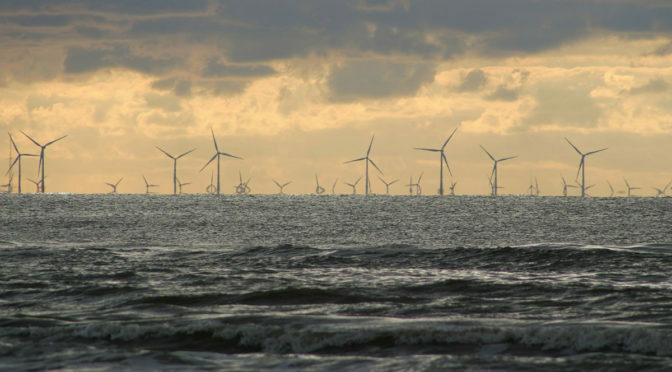 The first large windfarm built in the Dutch sector of the North Sea, OWEZ consists of 36 3MW turbines and sits approximately six miles off the coast from the village of Egmond aan Zee. Alpha Offshore will be providing experienced personnel with specialist knowledge of the 44 metre Vestas V90 turbines to undertake independent blade repair of around 80 blades. The scope of work will depend on the requirement of each blade but could include tip replacement, laminate repairs, lightning damage and leading edge protection systems upgrades. All materials necessary for the campaign will be supplied by Alpha Offshore, work is expected to commence in May and continue during the summer months. Mikkel Lund, chief executive officer at Alpha Offshore, commented: “Due to the harsh environments the offshore turbines operate in strong maintenance and repair strategies are vital to ensure integrity. As a specialist in blade inspection and repair, Alpha Offshore has carried out more than 1000 blade repair projects to date. To undertake the repair work, Alpha Offshore’s expert team will be using a variety of methods such as rope access and sky climber to safely and efficiently reach the blades. In addition to completing repairs the team will be project managing the work, preparing risk assessment and method statements and completing reporting. OWEZ has been operational since 2006 and generates enough electricity to supply 100,000 houses. Alpha Offshore is a Sparrows Group company providing engineering personnel and inspection services to the energy industry. The firm specialises in the delivery of operations and maintenance, and supervisory and commissioning services to onshore and offshore wind developments.